Osama bin Laden is living comfortably in northwest Pakistan, protected by local tribespeople and some members of the country’s intelligence service, a NATO official has told CNN. The news undercuts the U.S. government’s depiction of the al-Qaida leader as on the run, one terror expert tells The Upshot. 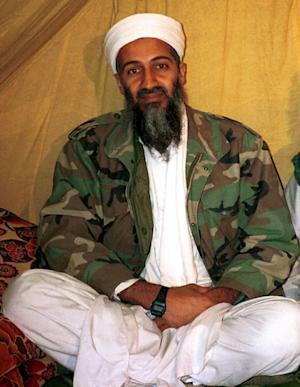 U.S. intelligence officials have long believed that bin Laden is living in the remote tribal region of northwest Pakistan. But at times, the government has also claimed that the al-Qaida leader has had to move frequently from one safehouse to another, impairing his ability to plot attacks. The NATO official’s comments undermine that claim, Michael Scheuer, a former special adviser to the chief of the CIA’s bin Laden unit, told The Upshot. "It exposes the lie that Bush and Obama have been telling us since 9/11, that he was running from rock to rock and cave to cave," Scheuer said. "Nobody in al-Qaida is living in a cave," said the unnamed official. Scheuer, who has been an outspoken critic of the U.S. approach to fighting al-Qaida, said it’s unlikely that the comments reflect any valuable new piece of information. "If this were genuine intel, they would not go public with it," he said. "They would try to kill him." Instead, he said, the NATO official’s goal is probably to put pressure on Pakistan to move its army into North Waziristan as part of the fight against the Taliban — something NATO has been urging the Pakistani government to do for weeks now. Brian Katulis, a national security expert at the Center for American Progress, also downplayed the comments. "There’s always been a sharp focus on how do we close the chapter by capturing or killing bin Laden," Catulis told The Upshot. "I don’t know that [the NATO official’s comments] are based on anything new or real." Earlier this month, Navy Adm. Michael Mullen, the chairman of the Joint Chiefs of Staff, expressed optimism that bin Laden and his deputy, Ayman al-Zawahiri, would eventually be caught. But according to Scheuer, the evidence that bin Laden is living in relative comfort and stability cuts against that expectation. "We’re just facing reality at last," Scheuer said. "Bin Laden lives among people who: a) regard him as an Islamic hero; and b) whose tribal mores require them to protect a guest with their own lives." Scheuer continued: "Despite what our leaders are saying, a guy who’s not moving around is not vulnerable to attack." Pakistan’s interior minister, Rehman Malik, denied to CNN that bin Laden and al-Zawahiri are in Pakistan.